Ah…the sights and smells of autumn! 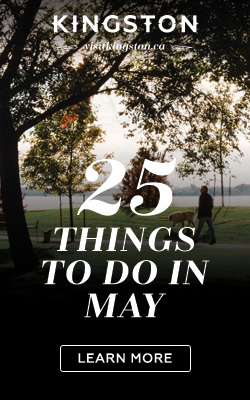 Hard to believe that yet another summer has flown by, but there are still so many great reasons to take a break from the back-to-school routine and enjoy the fresh fall air with some outdoor adventures. Head out of your hotel and take a stroll downtown Kingston, walking through the market, and taking in the first signs of red and orange leaves against the grey limestone walls. Grab a latté from Crave Coffee House and Bakery, along with some fresh baked goodies, and get ready for a memorable and fun day. Head east about a 45-minute drive to Skywood Eco Adventure Park, an amazing outdoor adventure centre tucked along the Thousand Islands Parkway. Just finishing up its third year in operation, Skywood is a unique and exciting experience for the entire family. With lots of options for all ages and skill levels, Skywood ensures that all participants truly enjoy themselves and leave wanting more. 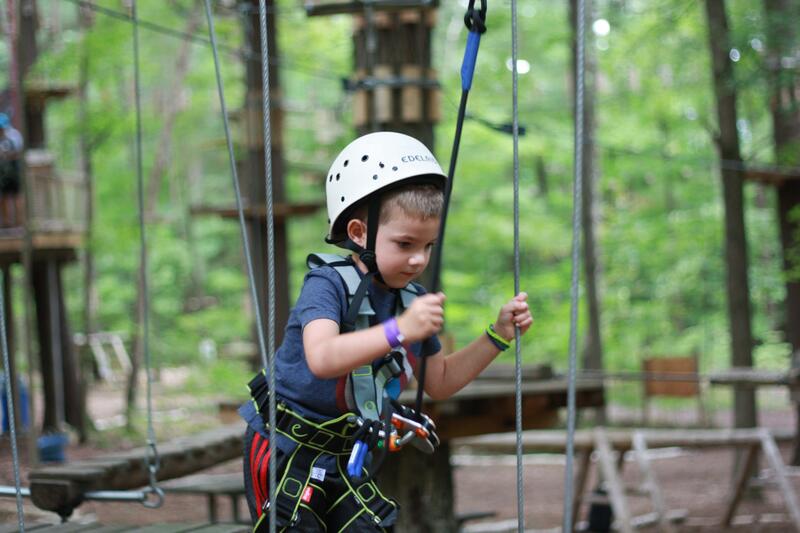 The forest has been transformed and sectioned off into four unique areas: zip line tour; adventure courses, children’s discovery courses; and the tree walk village. 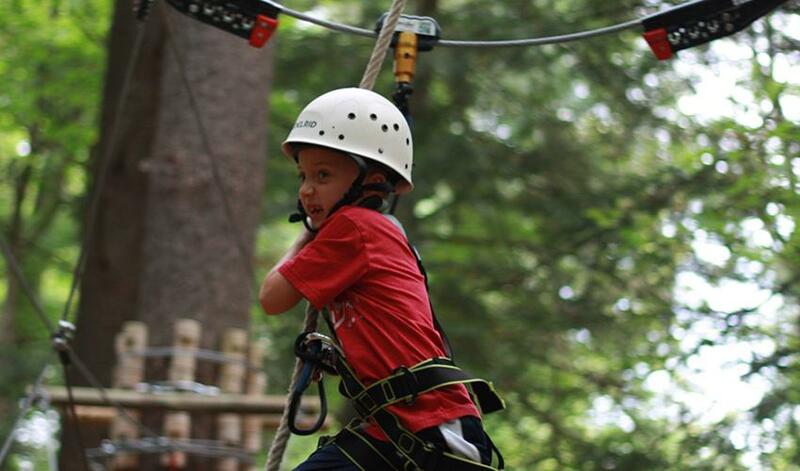 Each distinctive zone is geared towards different ages and ability levels, to get your adrenaline pumping! The zip lining and adventure courses are for adults and older kids, with age and height requirements listed on the website. Climbing, swinging, engaging in unique games and zip lining to the next adventure will be the highlight for anyone who takes on these courses. From beginner and expert, there is something for everyone here! The discovery courses are geared towards kids aged 5 years and older. 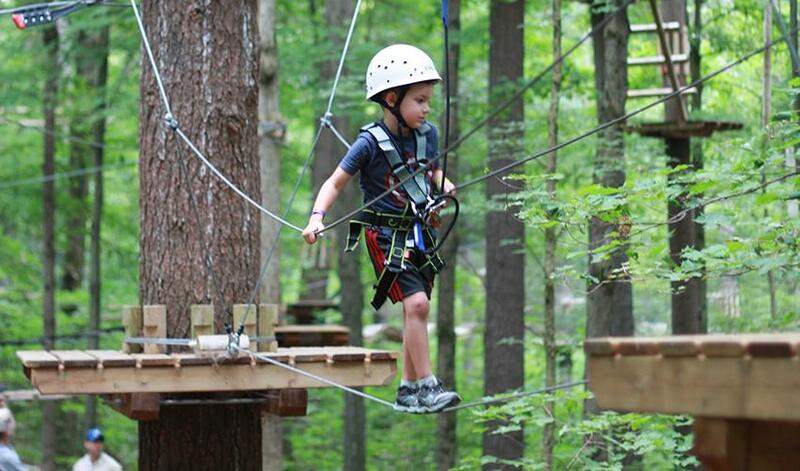 These three individual courses allow kids to explore with obstacles, tightropes, rope bridges, and zip lines with confidence, all while only a few feet above the forest floor. 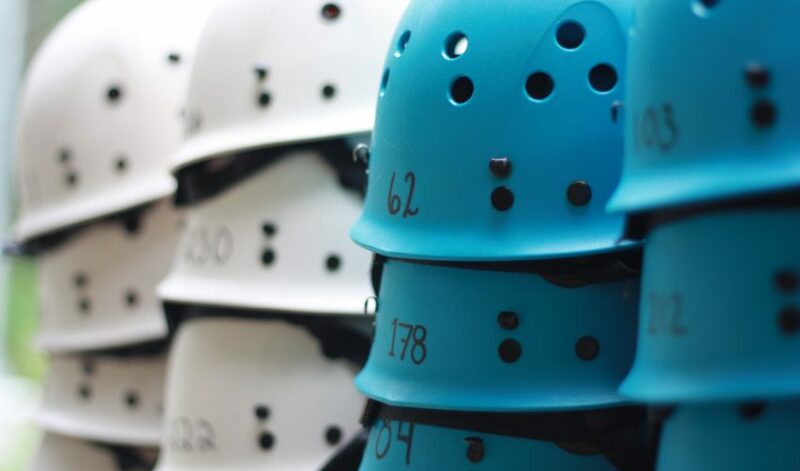 The instructors ensure that the harnesses and helmets are well-fitting and secure and that the kids are well equipped and able to safely connect their tethers to the lines on the various courses. Parents, while standing on the forest floor you will see your child experience this course with excited eyes and big smiles on their face! The tree walk village allows kids to run, climb and discover amazing treehouses while using ramps, rope bridges, zip swings and slides to navigate. There is also an “on ground” obstacle course that allows kids to engage their balance and coordination without the need for helmets and harnesses. The village is for ages 3 and older, and allows for more imaginative play than other areas of the park. Be sure to check out the website to find out more about Skywood while planning your visit. Here you will find waivers, frequently asked questions, and will be able to book your day and time to enjoy this amazing place! Note that the fall schedule offers fewer days than their normal summer hours, so book now to avoid disappointment. 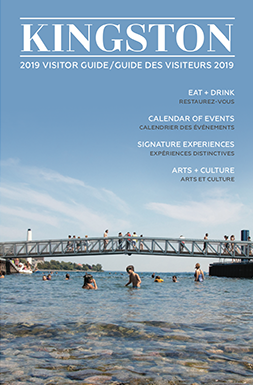 Also, while out along the Thousand Island Parkway, take in some more great options before heading back to Kingston for a well-deserved dinner out! Head west on the Parkway for just a few minutes before coming to Browns Bay, the oldest of all the parks of the St. Lawrence. Enjoy some great scenery overlooking the water, dip your toes in the water, let the kids explore the playground area, or throw a blanket under the mature trees spotted throughout the large grassy area and enjoy the autumn sunshine. Still have energy to burn? Pack your bikes for some of the best paths around! Over 45km of paved paths offer amazing views of the Thousand Islands, each one different from the last. With endless options for where to start and stop along the way, spend some time planning your route to truly enjoy this memorable biking adventure. Finally, head back to Kingston to enjoy some amazing wood oven baked pizza at Wooden Heads, or a heaping plate of pasta at Frankie Pestos. 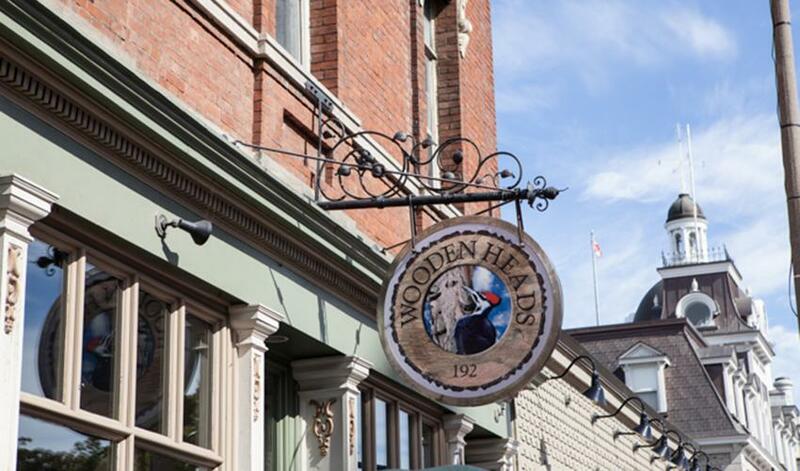 Enjoy some local beer (or root beer for the kids), and chat about the day’s great outdoor adventure!